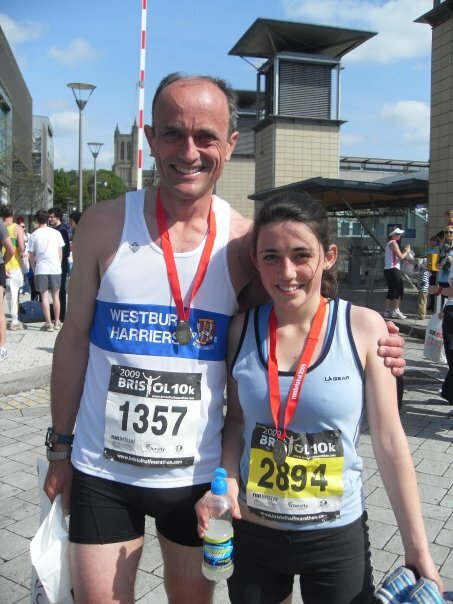 This Sunday was the Bristol 10km, where almost 15,000 runners gathered by @Bristol for the start at 9.30am. Perfect race conditions, dry with a cool wind. The course snaked out of the city centre along the Portway and back into the centre to finish by the Harbourside. 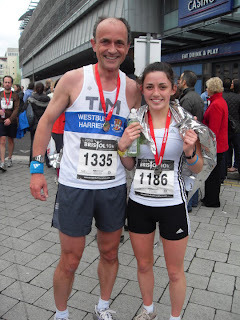 Bristol 10km for our family has always been a bit of a family affair, with Dad and I having run the race together (competitively!) in 2009, 10, 11 and 2012! Below are a couple of photos for 2009 and 2010, a lack of photos for the last two years! Dad has been concentrating on his marathons for the last few years, having done 16 now in total and aims to do 20 (his next one is in Berlin!) before he settles into the shorter distances, 10km is considerably shorter for him! He clocked in 42.30 for the 10km, Matt who ran too, all be it slightly under the weather ran a great 37.27 and I finished in 38.07 (Garmin). Mum supported very well, rushing around the course to see as many of the three of us as she could in the space of 40minutes!